A quality website that is built correctly using basic web design principles is one of the most powerful tools there is in any company’s arsenal. There are multiple ways businesses think about their websites. Some want very artistic sites that have moving objects and flashing banners. Others are run by their IT departments, or by a family member that may know how to use a computer. Lastly, there is a group that thinks a basic brochure will service their business just fine. There was a point in time that any three of those approaches might have been correct, but web design has evolved. The mistake that many web designers and IT departments make is they don’t have a holistic approach. It used to be that building a website was all about the aesthetics and little else. Since 2012, the move has been more towards building a brand and having the website support that brand. That doesn’t exclude small business. And it doesn’t need to have a large pile of cash attached to it. At ACTWD, we have a holistic approach to every website we build. Sure we design our websites to look great, but we also makes sure the elements required by Google’s guidelines are included. View our portfolio here. This is far beyond title tags and meta keywords (which stopped being a ranking variable in 2008). We understand what Google is looking for, and that gives each site we design a better chance of ranking. We are also aware of how a user interacts with the website. There are of course the basic elements, like is there a phone number and how do you contact the company? But a designer should be concerned with what the user does when they arrive at the site. What goals does the website have, and how are we helping meet those goals? As bounce rate and user experience are now factors, the web design elements have to incorporate that. 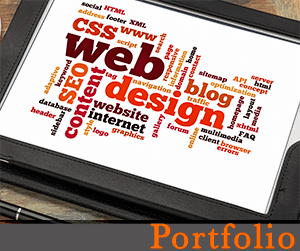 We are also on the verge of a new chapter of web design, which is responsive website design. As of April 2015, Google says it will now be factoring how mobile-ready a site is into its algorithm, which means that design firms now have to consider mobile devices when factoring in their web design. If they don’t, it’s at the clients peril. There are a few ways to do this, but we believe in responsive web design and have explained our viewpoint in a blog post on responsive web design. This is an important element of every site moving forward. ACTWD believes in the uniqueness of each website we encounter. We also believe that each website owner should be empowered to control their own websites, if they choose. We price each website custom-based on the size and scope of what is needed and give our clients the opportunity to work within their budget. Regardless of price, the core principles that will allow a website to succeed are never neglected. Please call us today for a free website evaluation.